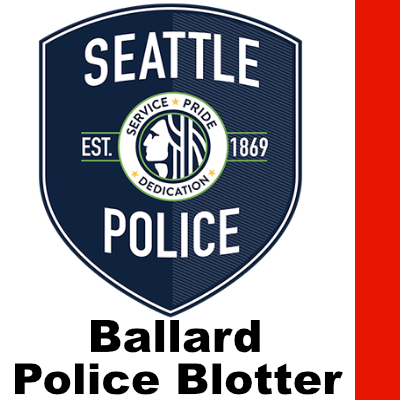 When officers arrived in the 1500 block of NW 52nd St. around 8 a.m. on Sunday, July 29, they met a woman who was burglarized while she slept. She woke up to find her laptop and purse missing. There was no sign of forced entry. Officers headed to the 8300 block of 20 Ave NW around 1:30 a.m. on Sunday, July 29. The woman residing there said she woke in the middle of the night and couldn’t go back to sleep. She decided to go outside in her backyard and noticed her garage door was slightly ajar. She usually keeps the door wide open. She went to the garage and discovered a man siting inside. She yelled at him to leave and he grabbed his bag and walked out. The man entered through a back gate, attached to the alley. The woman said nothing was missing from the garage, and nothing was damaged. Officers were not able to find any fingerprints. A K9 unit arrived to search for the suspect but was unable to find the man. Officers were dispatched to the 9100 block of Holman Rd. NW around 10 a.m. on Friday, July 27 to investigate a burglary. The caller said that a man entered the building’s main lobby and stole a wall-mounted television, valued at $300. He also damaged the wall in the process. At 10:30 p.m. on Thursday, July 26, the owner of a restaurant in the 8700 block of Holman Rd. NW called police to report an armed robbery. When officers arrived, the caller was no longer on the scene. He had gone home and said he would call in the morning. The man’s wife called police at 8:30 a.m. the following day to file a report. She had photos of the crime, depicting the suspect standing at the counter with a handgun. The suspect stole money from the cash register before fleeing the scene. He dropped his driver’s license, Visa gift card and candy. Police arrived in the 2200 block of NW Market St. to resolve a dispute over a backpack. One man said he got off the bus with the bag and strangers accused him of stealing it. A woman said that the man stole her backpack while she was waiting outside for her husband. Officers checked the contents of the bag and determined that the property belonged to the woman. The man claimed he picked up the wrong bag and denied stealing it.